Today is a different kind of pr0n – the twisty puzzle kind! 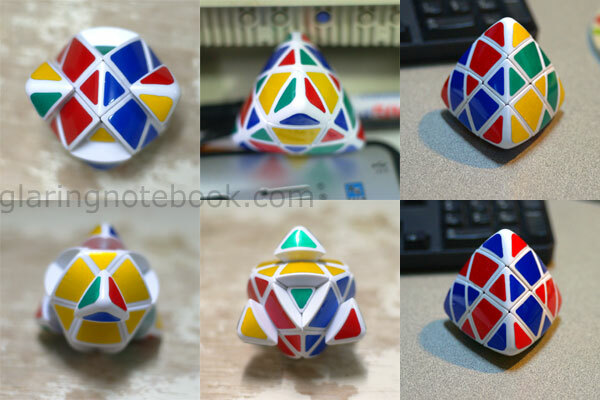 Clockwise from top: Megaminx copy, Rubik’s Cube, Void Cube copy, Pocket Cube, Master Pyramorphix copy, Eastsheen 5x5x5, and Rubik’s Mirror Blocks in the middle. 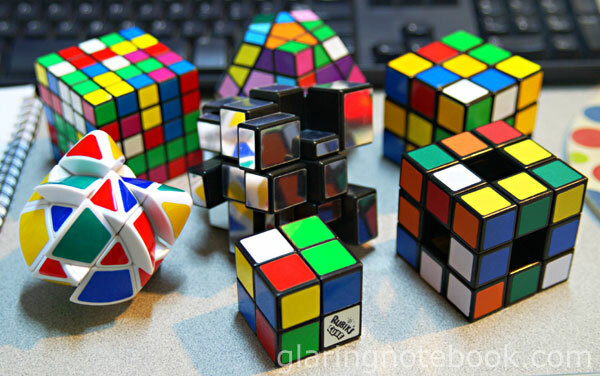 Clockwise from left: Eastsheen 5x5x5, Professor’s Cube, Rubik’s Revenge, Rubik’s Cube, Pocket Cube, Siamese Pocket Cube keychain, Meffert’s Pyraminx. 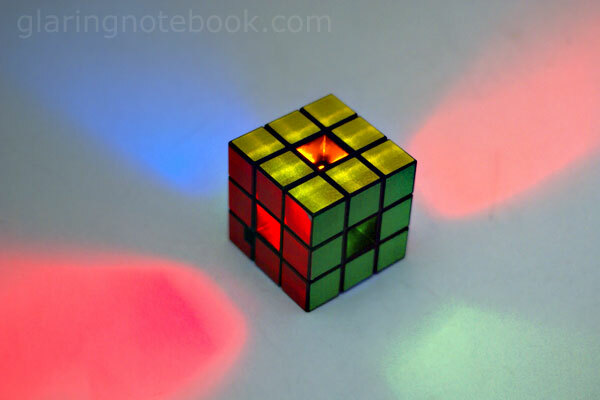 Lying flat is the Rubik’s Magic. Top to bottom: Master Pyramorphix copy, Void Cube copy, Rubik’s Mirror Blocks. The Mirror Blocks grips onto the Void Cube’s… void tightly. 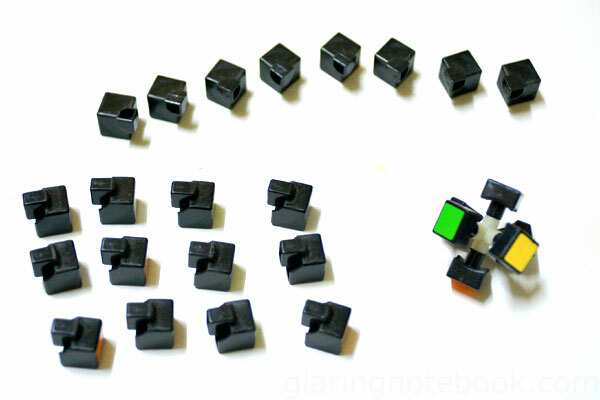 The Rubik’s Revolution. I wish I didn’t buy this gimmicky electronic game – it talks, lights up, but it does not rotate at all! You play 6 games like Light Speed, Rapid Recharge, Pattern Panic, Code Cracker, MultiPlayer Madness, and Cube Catcher. 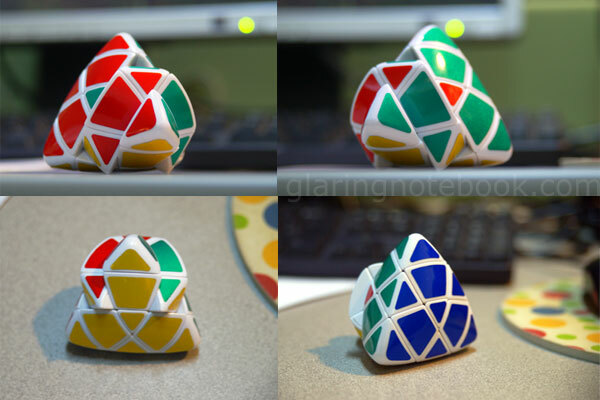 Not what I expected at all, and probably more fun for someone who is not able to solve the real thing. Yes I wouldn’t mind selling this! 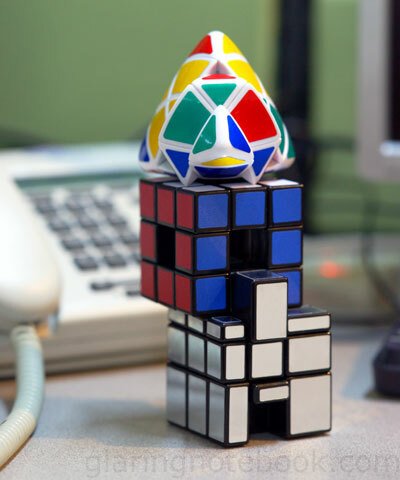 Here it is, next to a 25th Anniversary Rubik’s Cube. I would not recommend the 25th Anniversary one to anybody – it has an extra layer of protective film which peels off quickly and easily resulting in an ugly cube. Here’s a Japanese DIY Speedcube. They include lubricant in the package, as well as some advanced algorithms. I honestly haven’t had the time to learn them. 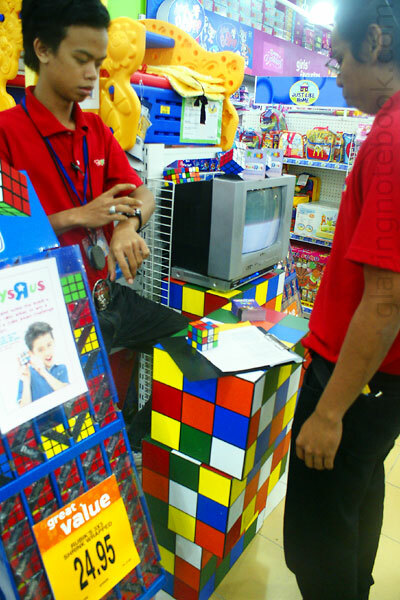 At Toys’R’Us Suria KLCC, there was a Rubik’s Cube competition – solve it under 100 seconds and win a free Rubik’s Cube T-shirt. Yes, I won one! 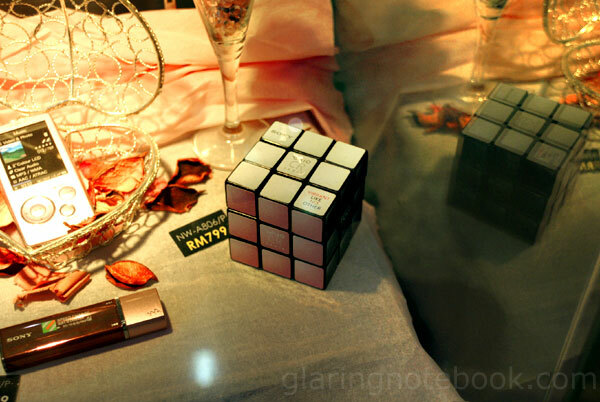 At Sony Style there was a Sony Rubik’s Cube. Cool skin! It’s even pretty with corner permutations! I love the reverse N scheme and X scheme. Here it is, next to the Meffert’s Pyraminx. 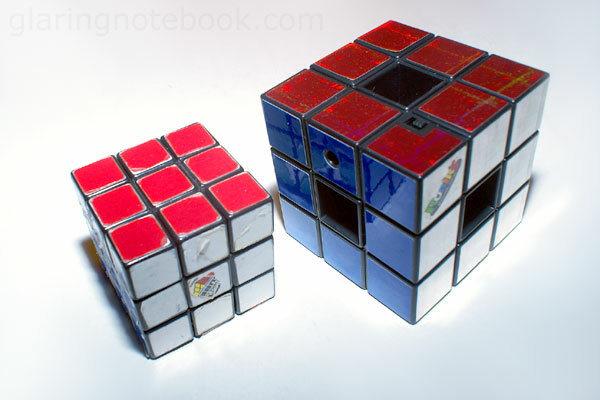 Left to right: Rubik’s Cube, Eastsheen 5x5x5, Yong Jun 7x7x7. And finally, for a nice big group shot. 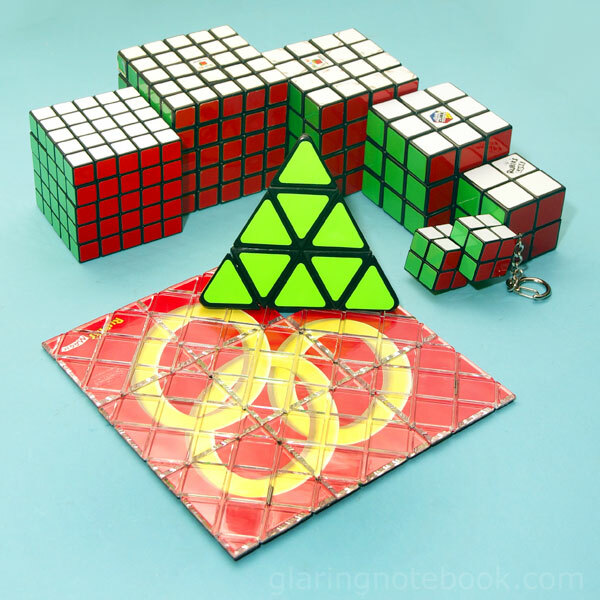 Left to right: Meffert’s Pyraminx, Siamese Pocket Cube keychain, Rubik’s Cube, Rubik’s Revenge, Professor’s Cube, Yong Jun 6x6x6, Yong Jun 7x7x7. 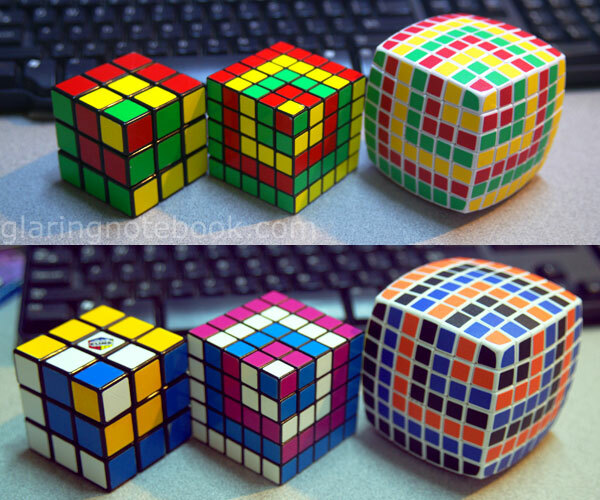 Top row left to right: Skewb copy, Square 1 variant. 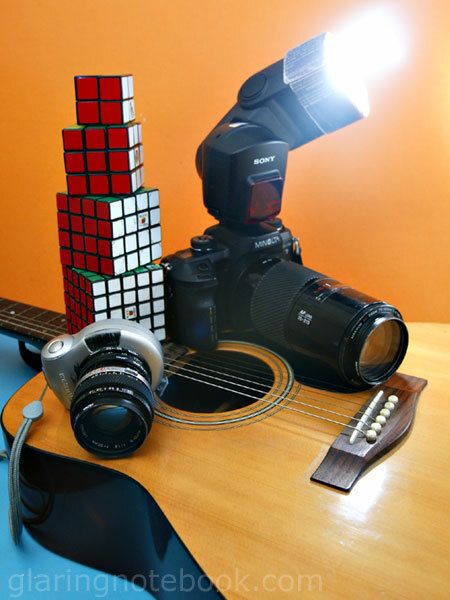 Behind: Rubik’s 360. 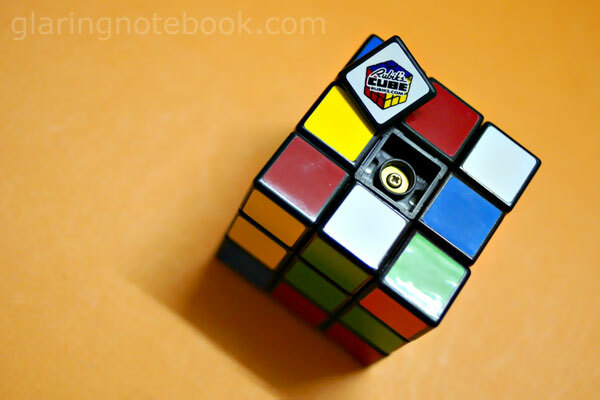 More about each individual cube in my next blog entry! This entry was posted in Geek, Pictures, Toys on September 27, 2009 by 2konbla. oh so that’s the Yong Jun 7x7x7 you were talking about! you finally got it? haha, is it ex? 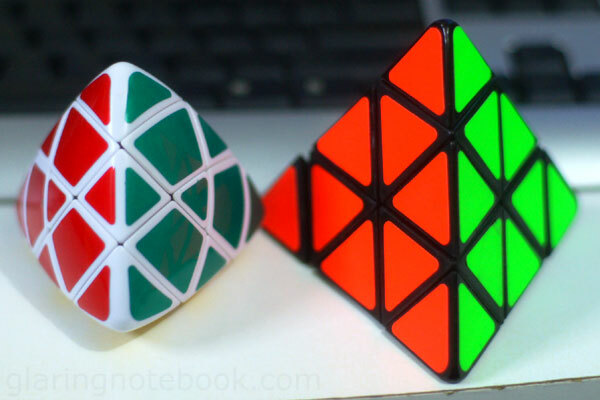 I got the Yong Jun 7x7x7, Yong Jun 6x6x6, Skewb copy, and Square 1 variant for RM300 total. Not bad I say for the Yong Juns since they come with replacement stickers! Next TT in PJ, let me know beforehand if you’re coming and I’ll bring them. See which one also lah.